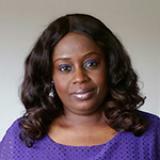 Ijeoma Okeke has over fourteen years’ experience in the Contact Centre Operations field. She has risen through the ranks from a frontline agent to a senior management level position. A lawyer by training but customer Service personnel by calling. She was a spearhead in the setting of what you know as the Etisalat Nigeria Contact Centre today, a team that has now evolved into an Award winning team in the area of customer service. Ijeoma currently overseas a multi- sited and multi-channel Contact Centre with staff strength of over 1000 people. Her eye for detail and structure has led her to initiate excellent processes and policies that have led to business expansions and the conversation of the contact Centre from a cost Centre to a revenue generating arm of EMTS Etisalat Nigeria. She has certifications from various internationally recognise d bodies in the field of Customer Service and Human Resources management. An accredited auditor of various International bodies of standards. Ijeoma is a passionate customer service / experience advocate. She is dedicated to changing the customer service field and the way it is perceived in Africa. 1:00 PM Panel discussion: Omni-channel routing and reporting - what, where, why, and how? Omni-channel is all the buzz. Undoubtedly, you want to properly manage email, chat, text, and more. But the what, where, why, and how are not so simple! This session will dive into the role of various systems, including the ACD and CRM, and how they work together - or are colliding! This session will explore integration challenges and what omni-channel routing and reporting means for other tools like quality monitoring and workforce management. And no technology discussion is complete without the cloud, so this session will go there too. Customer engagement is where the heart is. Data-driven marketing offers industry leaders the opportunity to increase their market growth, while shaping customer satisfaction. This session will explore the importance of not just collecting data but will dig deep on how to monitor the dynamic behaviour of your customers. Identify behavioural outliners and patterns, to enhance the company bottom line. It is estimated that by 2020, Gen Y will make up 50% of the workforce and Gen Z will be 10%. Contact centres that successfully integrate the newest generations will gain a competitive advantage through enhanced and increased agent engagement and increased customer loyalty. In thinking ahead: The impact of the generational changes in your contact centres, the session will highlight strategic programs that will allow the generations to willingly work to attain corporate goals. Leaders will learn how their agents can communicate with peers and customers of all generations. Supporting generational customers is an art and a science. Incorporating this generational forward thinking will brighten the future of your call centre! In a region where call and contact centres are now evolving, managing a call centre’s camaraderie, morale, and culture can prove a near-impossible task. Attend this session and find out more about the culture-change tactics to turn your call centre around in order to enhance team motivation, improve CSAT scores, and show your management a profitable bottom line. Check out the incredible speaker line-up to see who will be joining Ijeoma.